Sometimes it feels like summer is coming to an end, and then you get a day like this and begin to doubt it! I spent the day photographing some of my vintage collection to put on eBay (It's all up now, go have a peek! 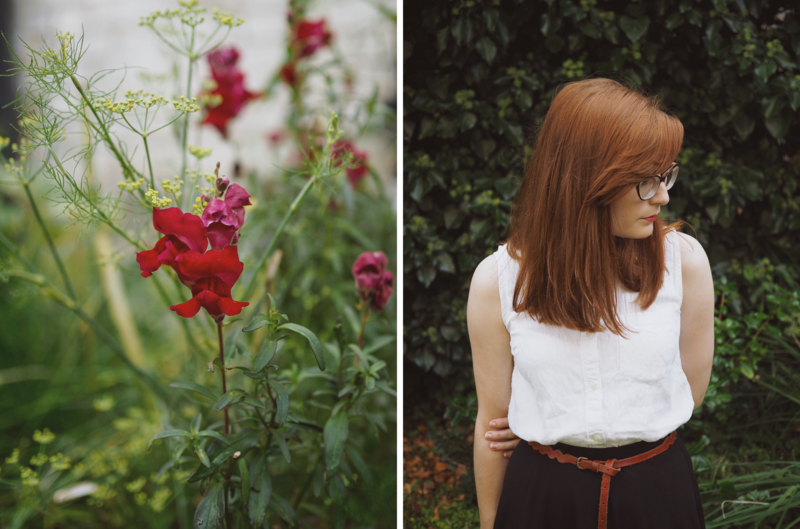 ), wandering the gardens and trying not to complain that I was too hot. I've had this skirt FOREVER. It always goes through stages of being put away and brought back out again, and I just re-found it this morning. I had been thinking about it for a couple of days, I honestly thought I had sold it or donated it to a charity shop - I'm glad I didnt! It was very inexpensive, but such a classic shape. I seem to be coming back to these classic peices at the moment and I'm really enjoying it. These shoes are slowly getting comfier. The first couple of times I wore them they gave me blisters from hell, so I've been trying to wear them around the house to break them in. Fingers crossed they'll be soft enough to wear when we go to brighton for the weekend in a couple of weeks!